Fight your way through 3 new Dungeons inspired by the Brave New World album. Battle the legions of darkness across time and space as otherworldly anti-hero ‘Eddie’, in an epic turn-based fantasy RPG. 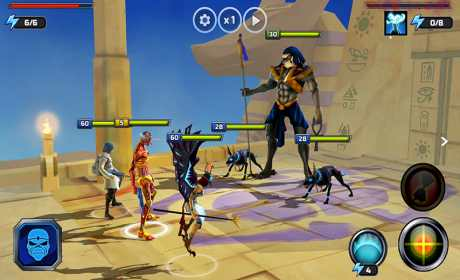 Collect, power up and evolve incredible champions to form the ultimate fighting team – battle through multiple worlds, defeat giant bosses, rebuild Eddie’s shattered soul and save the universe! Warrior, Magus, Sentinel, Gunner or Assassin. 5 different classes and 100’s of characters to collect. Defeat corrupted enemies, turn them to your side and create incredible teams! Eddies come in many shapes and forms, each featuring their own unique set of powers and abilities, including; Cyborg, Mummy, Trooper, Vampire, Viking, Samurai, Bounty Hunter and many more! Prepare for Eddie Vs Eddie in the ultimate face-off! Put your strongest teams to the test against other players and fight for death or glory as you duke it out to gain valuable prizes and supplies. Collect unique resources to upgrade and evolve your team, enabling strategic gameplay to counter the enemy. 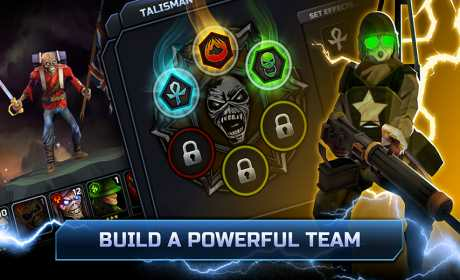 Over 40 different ‘Talisman’ sets to pick and choose additional abilities for your characters! Explore the furthest reaches of a sprawling universe, from the depths of underworld to ancient Egypt, past battlefields, an enchanted forest and beyond, all set in stunning 3D environments. 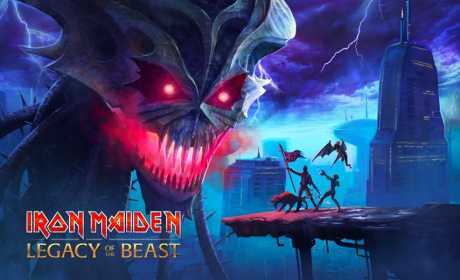 Features the incredible sound of Iron Maiden, with an epic soundtrack especially prepared for the game.